Today (Sunday) marks eight years since the first operational "Iron Dome" interception. What did the interceptors do at the moment of truth? Why was a new battery established within several days? And how did the weapon system develop ever since? It happened on a Thursday, late at noon. 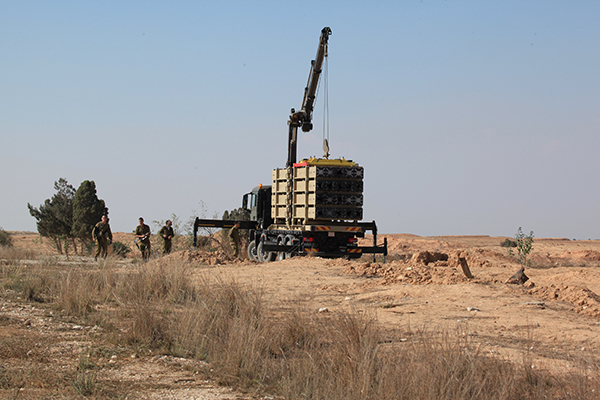 For several tense weeks, the first "Iron Dome" battalion was deployed at the border, ready for action. "Then, the IMC (Interception Management Center) commander said, 'it's out'. 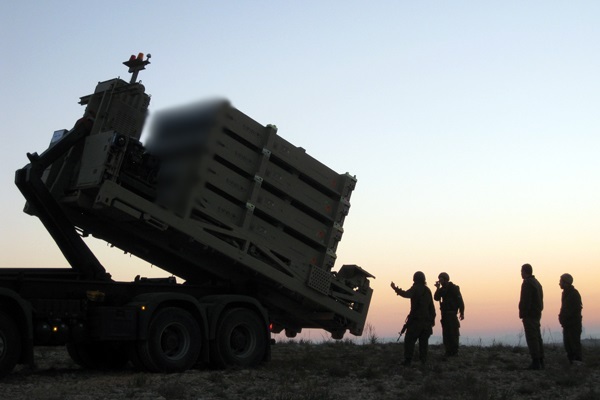 There was no need to ask – I understood exactly what he meant, and his response indicated that the following interception had been successful", said Lt. Col. (Res') Shabtai Ben Boher, the first commander of the 947th Battalion - the first "Iron Dome" battalion. The "Iron Dome" establishment team was founded in 2009, made up of 20 officers, NCOs (Non-Commissioned Officers) and regular service members serving in the IAF Air Defense Array. The establishment team worked alongside the three companies assisting in development: Rafael, the main corporation, responsible for developing the rocket and the launcher; Elta Systems Ltd, responsible for the radar; and mPrest Systems, responsible for the command and control systems. "It was clear that our mission was urgent", elaborated Lt. Col. (Res') Ben Boher. "At the time, the situation in the theater would escalate and rockets would occasionally be fired towards the Gaza envelope". "The team's mission was to study the system, prepare the infrastructure for its arrival, assist in its development and instruct its combatants", said Maj. Maor Gabriel, the first ever "Iron Dome" battery commander, who also performed the system's first ever interception. The system was integrated into the 947th Battalion, which converted from "Stinger" missiles to the "Iron Dome" weapon system. "Our main mission was protecting the Gaza envelope, with an emphasis on Sderot and Ashkelon", explained Lt. Col. (Res') Ben Boher. "We had to invent everything from scratch, learn how we can utilize our new capabilities and find a place to deploy. 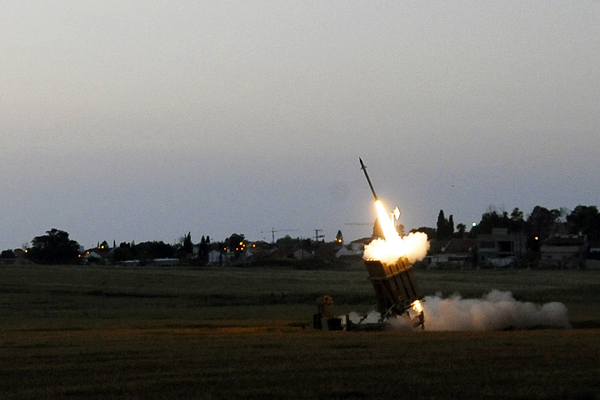 We didn't have anyone to learn from because an 'Iron Dome' battery had never deployed before". In March of 2011, 18 months after the integration process commenced, things in the southern theatre were beginning to escalate. "We were prepared for an operational deployment", said Lt. Col. (Res') Ben Boher. "The Commander of the IAF decided that we were prepared enough and set us out on our first mission". The first deployment was in Be'er Sheba, and an additional battery deployed in Ashkelon several days later. The Ashkelon battery had only been in the field for a month when it performed its first interception. "It was only when I commanded over the operational shift at the IMC that we first saw real targets being launched towards Israel. Until that moment, we had only seen such things in exercises", recalled Maj. Gabriel. "We operated the system according to procedure, just like we would during training. The missile was launched and the target was intercepted successfully". "The first phone call I made was to the commander of the launch site, so I could ensure that the missile was indeed launched. According to the way he screamed, I realized that it was truly the case", recalled Maj. Gabriel. "Everyone was excited, but in spite of our excitement we began preparing for the next targets". 2012 Operation "Pillar of Defense" began approximately 18 months after the weapon system's first operational interception. 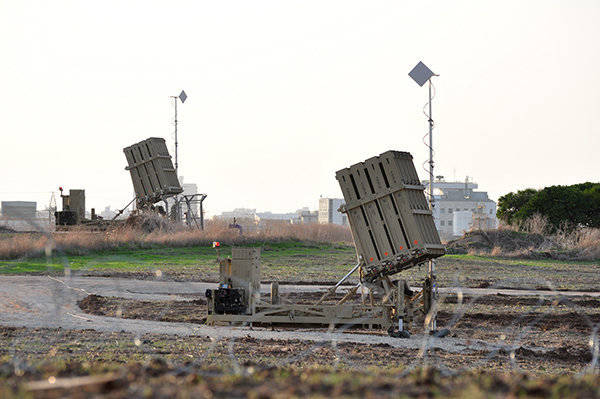 At the time, the IAF had four "Iron Dome" batteries at its disposal. "It was the first time that terror organizations in the Gaza Strip were able to fire rockets towards Gush Dan, a fact we learned from our intelligence units", elaborated Lt. Col. (Res') Ben Boher. "We began thinking up a plan for defending Gush Dan". The number of available batteries at the time was only enough for protecting the Gaza envelope. In order to protect Gush Dan, one of the batteries had to have been relocated, which faced the force's commanders with a significant dilemma. One of the solutions Operation "Pillar of Defense" provided was speeding up the establishment of the fifth battery, which was supposed to have been integrated six months afterwards. "This was also the first time we handled surface-to-surface rockets", added Maj. Gabriel. "We provided the air force with a new capability, which made the event even more significant".